It’s the time of year to show a little appreciation to the ones you love. 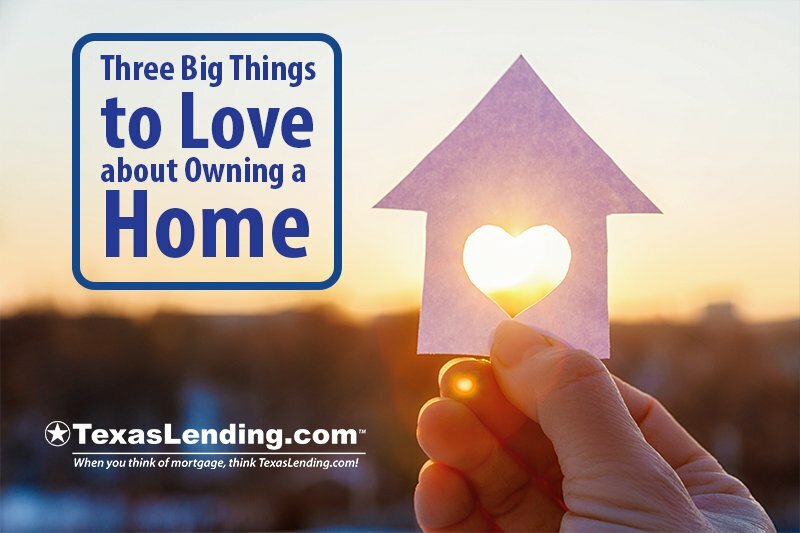 We thought it would be a great opportunity to share 3 big things to love about owning a home. Owning a home is a financial asset. When renting, your money is going toward building someone else’s wealth and investment. However, when you make the decision to buy your own home you are shifting that monthly investment toward your own wealth. A truly better financial future. As property values rise over time, rent prices and taxes will rise, but your mortgage payment will remain the same. Owning a home means that your equity can build through your years of ownership, while renters pay increasingly more over time. Read more about the “First Step to Owning a Home” in this article. What is your dream home? A place with extra room for family, a great kitchen where you can bake up a storm, or a quiet reading nook with a collection of your favorite novels. Lots of Americans dream about a home that they can truly customize to fit their lifestyle and reflect their personality. We love that owning a home means that you can make your own oasis. Paint the walls, plant a garden, build a patio, or customize the kitchen… it’s your home! Since we are talking about LOVE, it’s worth highlighting that a home is more than just walls and a roof over your head. A home is a place where life happens, where families grow together and memories are made. If you have had the opportunity to return to the home that you grew up in, you will know that places can hold memories. We love the idea that friends and families share memories together in the homes that we help them to buy. If you are ready to become a homeowner, we would love to help you get pre approved. Talk to our licensed mortgage consultants about your goals and learn about your mortgage options.